These areas include: modernization and improvement of the temporary foreign worker programs, including a revision of the numerical limitations on H-1B visas, employment authorization benefits for spouses of H-1B visa holders on the path to lawful permanent residence, improvement of the visa allocation process for the consular immigrant visa program, modification of the visa bulletin system, reduction in visa backlogs for family-based and employment-based preference categories, greater opportunities for permanent residence for entrepreneurs, innovators, and start-up companies, greater accessibility to permanent residence for highly skilled workers, researchers, aliens of extraordinary ability, and aliens holding advanced degrees, prioritizing deportation, expanding the deferred action for childhood arrivals program (DACA), implementing deferred action for parents of Americans and Lawful Permanent Residents (LPRs), expanding use of provisional waivers of unlawful presence for spouses and sons and daughters of LPRs and US Citizens, addressing the refugee crisis while securing our borders against criminal activity and terrorism, and finally addressing what to do about the 11.3 million immigrants who are unlawfully present in the United States. Only half of the undocumented population includes Mexican nationals. A substantial percentage of the undocumented immigrant population did not cross the United States border illegally. Surprisingly, a great chunk of the undocumented population entered the United States on a valid visa, never returning to their country of origin. Dealing with visa overstays is a significant issue and one that has only been addressed by the Republican candidates. The democratic presidential candidates have been more inclined to address the issue of DACA/DAPA, the growing number of unaccompanied minors entering the United States, and how to resolve the deportation of parents of American children. The two Republican frontrunners, Donald Trump and Ted Cruz, advocate for policies that are antagonistic to guest worker programs, especially the H-1B visa program. It is estimated that unlawful immigrants make up approximately 6% of the American workforce. Six states alone account for 60% of the undocumented immigrant population including California, Texas, Florida, New York, New Jersey and Illinois. The task of dealing with this huge population can no longer be ignored. Understandably, dealing with these issues is daunting. The lack of clear dialogue from the Republican candidates demonstrates that immigration is not a priority. To understand what immigration policy might look like in the future, it is important for the public to understand how the Republican and Democratic presidential contenders have said they will deal with these very important issues. 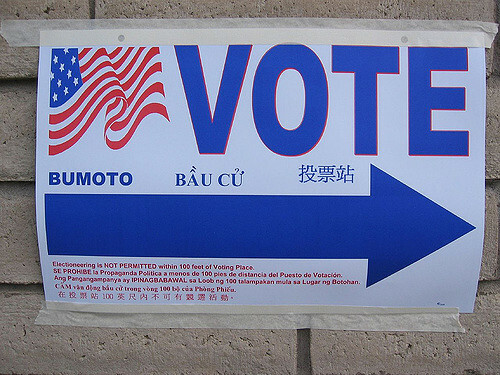 It is also important, as Americans, to understand the candidate positions on immigration, in order to optimize our vote. 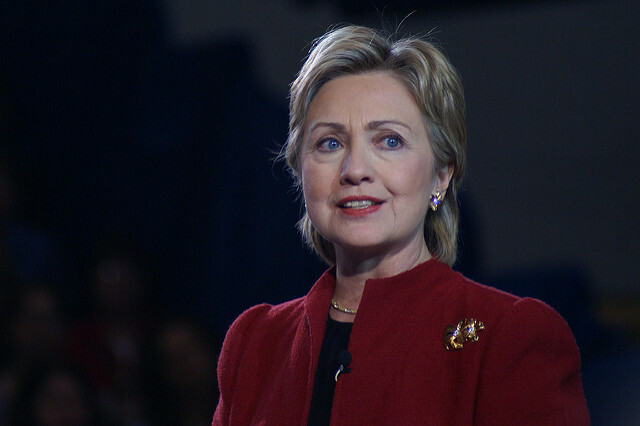 During her campaign, Clinton has spoken about immigration reform in general terms. She has focused on the undocumented immigrant population in the United States. She supports the Obama administrations executive actions on immigration including the expanded DACA program and new DAPA program. She believes undocumented immigrants should have access to basic healthcare, supports family unity, and temporary guest worker programs. She has not advocated for the expansion of guest worker programs or provided a clear strategy to how she will create a pathway to citizenship for the undocumented population. Her most valuable contribution to the immigration debate is that she would like to call on Congress to repeal the 3- and 10-year bars in an effort to promote family reunification. In the past, Hillary Clinton supported and co-sponsored the Comprehensive Immigration Reform Act 2006 and 2007, Dream Act in 2003, 2005, and 2007 giving undocumented students who have grown up in the US, the opportunity to receive an education. End the 3- and 10-year bars.Current immigration law forces families—especially those whose members have different citizenship or immigration statuses—into a heartbreaking dilemma: pursue a green card by leaving the country and your loved ones behind, or remain in the shadows. Hillary will call on Congress to repeal the 3- and 10-year bars to keep families together. Presidential candidate Bernie Sanders has supported the Obama administration’s executive actions on immigration including expanded DACA and DAPA, like Hillary, but goes a step further for the undocumented population. He has vowed to uphold what he calls a “fair and humane immigration policy.” Like Clinton, he supports family re-unification and would like to reform the family-based immigration system by making it easier for family members to immigrate to the United States. He supports basic government healthcare for undocumented immigrants and an easier path to citizenship overall. 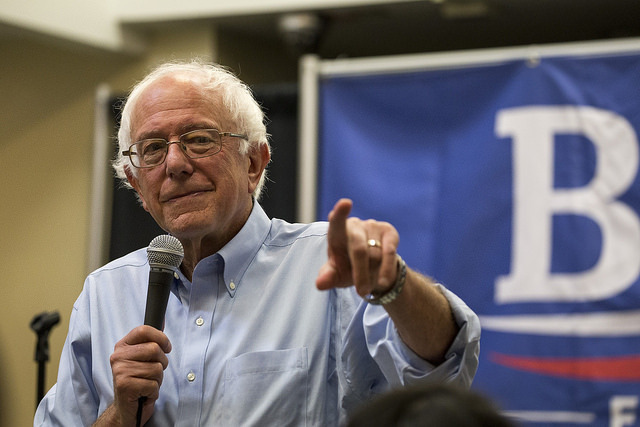 Bernie Sanders differs from Hillary Clinton on his attitude toward guest worker programs. In this arena, his views are aligned with the Republican candidates. Sanders is skeptical of the benefits that guest worker programs provide. In fact, he believes these programs have the tendency to exploit immigrant workers and undercut American jobs and workers. It is not clear which guest worker program he is referring to, however it is likely that he is referring to low skilled guest worker programs such as the H-2A and H-2B programs and not high skilled worker programs such as the H-1B program, since the H-1B program contains various provisions designed to protect American workers. He believes low skilled guest worker programs put the immigrant at the mercy of their employer. Sanders advocates for immigrant rights and greater opportunities. He would increase taxes for American companies that employ foreign workers as a result of labor shortages. His most important contribution includes advocating for humanitarian parole for the return of unjustly deported families, family reunification, and reformation of the visa system. 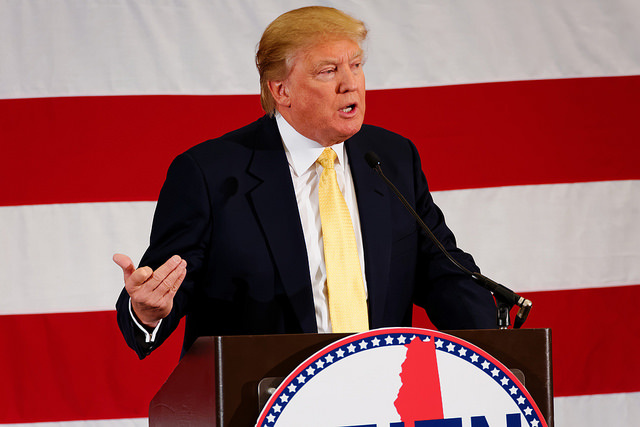 Presidential candidate Trump takes a hardline stance on legal and illegal immigration, though his positions on the guest worker visa program have changed on occasion. His immigration policy puts American workers at the forefront, vowing to protect the jobs of Americans by forcing American companies to keep employ American workers and keep their companies inside of the United States. The needs of highly skilled workers, temporary guest workers, and family reunification are secondary to the needs of American workers. Trump has stated that guest worker visas keep American salaries low, unemployment rates high, and make it difficult for the middle class and the poor to earn decent wages. During his campaign, Trump has said that he would freeze the green card program temporarily, and dismantle the H-1B visa program by raising the minimum wage American business must pay H-1B guest workers to discourage them from hiring foreign workers by making them less desirable. His stance on the H-1B program has flip-flopped from mild support to outright elimination. He is generally against temporary guest worker programs and has openly stated that he is against the TN visa program for NAFTA professionals which he says results in massive overstays. Trump envisions building a U.S./Mexico border wall that will be paid for by the Mexican government and effectively deter illegal immigrants from entering the United States. In regards to the refugee crisis and border security, Trump has vowed to work with Congress to issue a temporary ban on Muslim immigrants to the United States. His immigration policy is characterized by an aggressive policy to secure our borders, increase detentions, increase deportation of criminals, end birthright citizenship, punish visa overstays, and a nationwide e-verify system. A nation without borders is not a nation.There must be a wall across the southern border. A nation without laws is not a nation.Laws passed in accordance with our Constitutional system of government must be enforced. A nation that does not serve its own citizens is not a nation.Any immigration plan must improve jobs, wages and security for all Americans. Before any new green cards are issued to foreign workers abroad, there will be a pause where employers will have to hire from the domestic pool of unemployed immigrant and native workers. This will help reverse women’s plummeting workplace participation rate, grow wages, and allow record immigration levels to subside to more moderate historical averages. 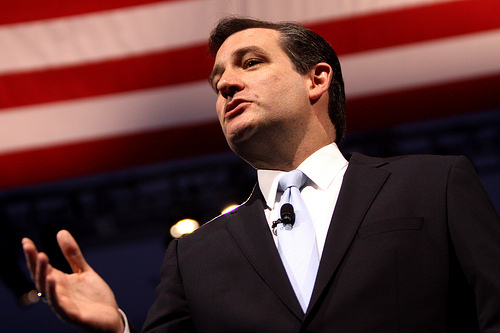 Presidential candidate Ted Cruz has also taken a hardline stance on immigration. During his campaign he has openly denied amnesty to the undocumented population and has focused on an aggressive policy on securing the border in order to deal with illegal immigration. At times he has advocated for a merit-based legal immigration system, that expands the H-1B visa program and promotes an increase in the issuance of worker visas for high skilled workers. Ted Cruz has called himself an “advocate of legal immigration.” At other times, Cruz has voiced disapproval of the H-1B visa program and has vowed to put the American workforce first. Most recently he has said that the H-1B visa program should be suspended temporarily to investigate the abuses of the program and that American companies should sign an affidavit outlining their efforts to hire American workers first. Complete details of his opposition to the H-1B program have been added below. First, secure the border, once and for all. No other reform is meaningful if we do not fix our porous southern border. Second, strengthen and enforce our existing immigration laws. We must reverse President Obama’s enforcement “priorities,” which allow a large number of criminal aliens to unlawfully remain in the United States. Third, pursue reforms to the legal-immigration system that will prioritize the interests and well-being of Americans. As a nation built by those fleeing persecution and seeking freedom, we must once against welcome and celebrate legal immigrants while at the same time protecting American jobs and interests. “Suspend the issuance of all H-1B visas for 180 days to complete a comprehensive investigation and audit of pervasive allegations of abuse of the program: Initiate an immediate 180-day investigation and audit of the H-1B visa program and enact fundamental reforms of this program to ensure that it protects American workers. In recent months, more and more reports have become public of companies replacing American workers with cheaper foreign workers, contrary to the stated intent of the H-1B visa program. This will stop, and the H1-B program will be suspended until we can be certain that the program is no longer being abused. Enforce existing federal protections for American workers: Conduct systematic audits of the companies that have taken advantage of the H-1B visa program during the last 15 years. All companies that have violated the terms of the H-1B visa program will be barred from using it for a period of years. The Attorney General will have authority to prosecute any individual found to have committed H-1B visa fraud, and offending companies will be suspended from receiving government grants and contracts. Create an advanced degree requirement:Only individuals with advanced degrees in their respective fields may be brought to the United States with an H-1B visa. And preference will be given to those with advanced degrees from American universities. Create a “layoff cool-off” period for all H-1B visa applications: Companies must wait one or two years between laying off a worker and bringing in any H-1B foreign workers to ensure that the program is not used to displace American workers. Establish accreditation or recognition requirements for overseas schools: The recent lack of federal oversight of the H-1B visa program has fueled a cottage industry of diploma mills. Foreign academic institutions must meet minimum accreditation standards at least as stringent as those imposed on American universities in order to qualify for the advanced-degree requirement. Require sworn affidavits describing domestic hiring efforts: Companies will provide sworn statements and documentation that detail their efforts to hire Americans before requesting foreign workers through the H-1B visa program. Individuals who make false statements in these affidavits will be subject to perjury charges. Unlike the other Republican candidates, John Kasich is a moderate on immigration. He has openly stated that he does not think that hard working law abiding undocumented immigrants should be demonized. Instead, he believes deportation would be the last resort. While he does not advocate for amnesty, he is open to allowing undocumented immigrants who have lived in the United States for a continuous period of time, the opportunity to work in the United States similar to a guest worker program. 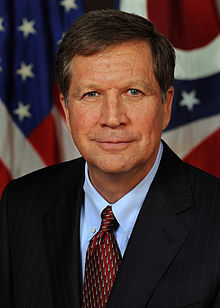 Kasich has said that in exchange, undocumented immigrants should pay a fine, back taxes, perform community services, etc. He believes that it is impractical to deport 11 million people and says that it is against American values to do so. Although Kasich’s immigration policy is more in line with Clinton’s, his priority is not immigration. In fact, his website does not list immigration as a top issue to be dealt with. He advocates family reunification, and has a pragmatic approach to dealing with illegal immigration. Kasich provides a more “humane” alternative to illegal immigration among the Republicans. Unlike, Sanders, Kasich supports low and high skilled guest worker programs. Recently, he voted to increase the size of the H-1B program. Your vote matters. Please encourage others to educate themselves on the various positions of our presidential candidates so that we may continue to progress as a nation of immigrants. For more information on US visa programs please visit our website.